Hi guys! 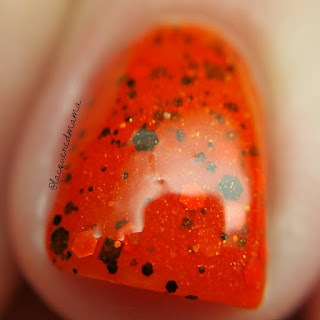 Today I have a gorgeous Halloween themed collection from Heather's Hues to share with you! 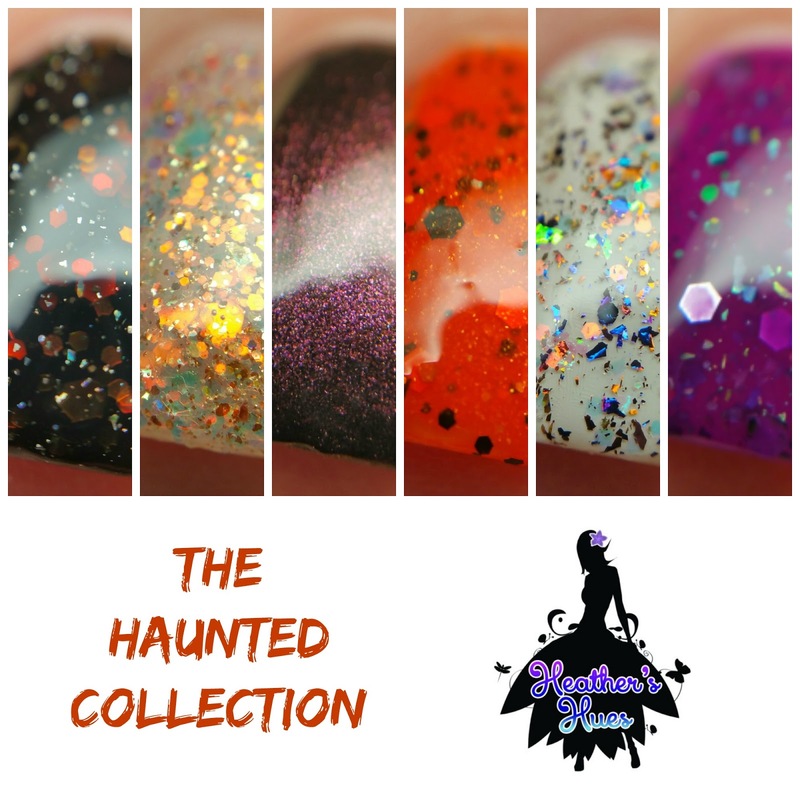 The Haunted Collection includes six beautiful, yet spookified polishes for your wearing pleasure! Let's take a look! 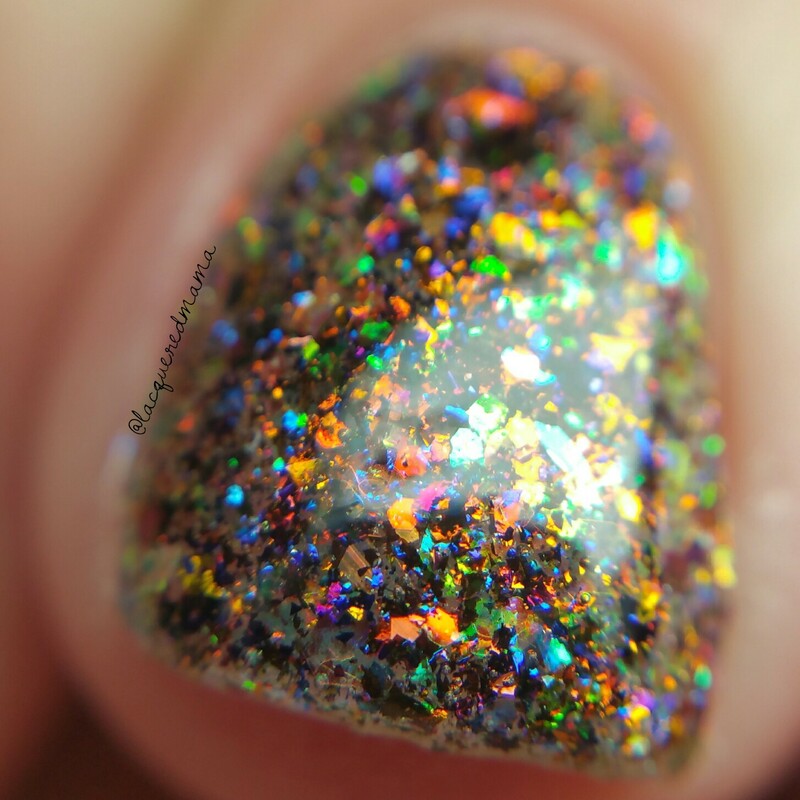 If You Got It, Haunt It is a beautiful black jelly base filled with iridescent glitters in various shapes and sizes that shift from golden yellow to orange and red and then to green. Beautiful Fall Combo! Here I did two coats plus topcoat! 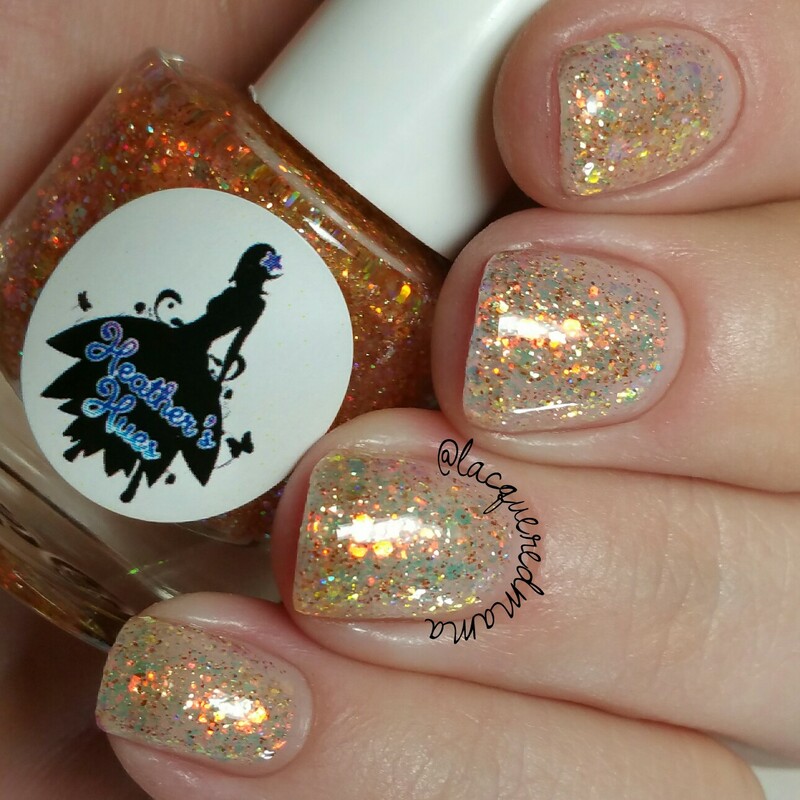 Eat, Drink & Be Scary is a bright orange crelly filled with orange and black hex glitters and various sizes, as well as a dusting of holo! Super opaque and apply really evenly with one coat. The second coat deepened the color and made it completely opaque. 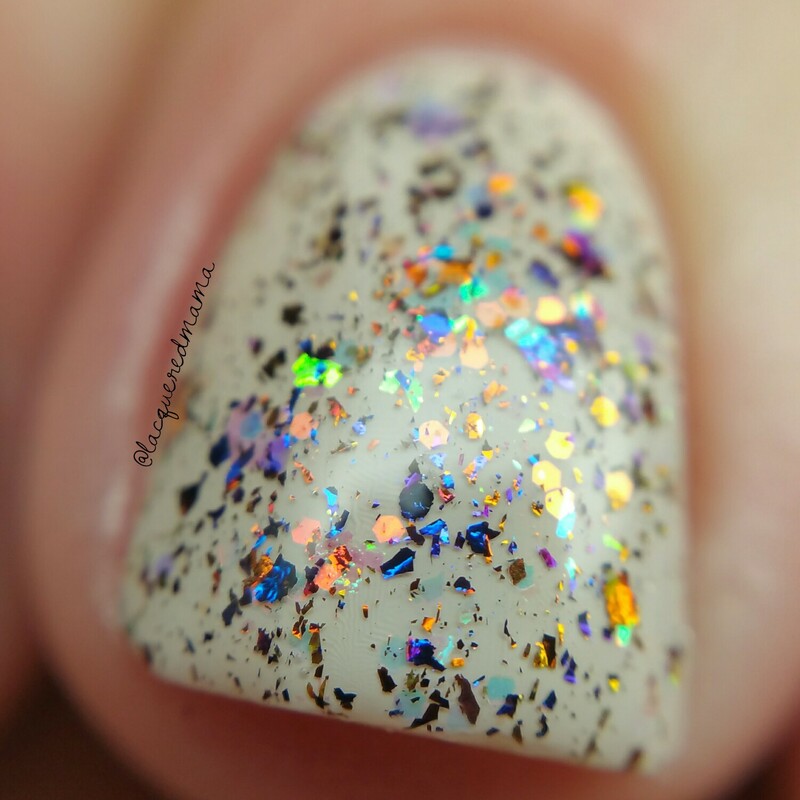 Halloween Magic is a gorgeous clear jelly base filled with the same iridescent, shift glitters as If You Got It, Haunt It. When put over black it appears to be the same as well. Here I did two coats by itself and love the outcome! This is also very pretty over many different base colors. 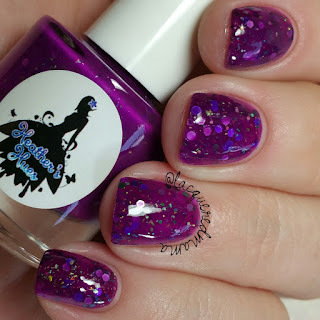 Hocus Pocus is a deep fuchsia toned purple crelly filled with holo shreds and hex glitters in various shades of purples. Here I did two coats plus two coats of topcoat. Killer Costume Party is a clear jelly base filled with multichrome flakies! Here I did one coat over OPI You're So Vain-illa. It spread really evenly on its own and the shift is amazing! You can also build this up on its own in three coats, as shown in the last photo. 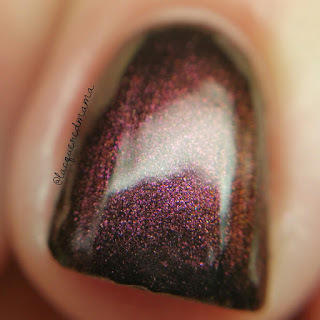 The Dead of Night deep burgundy, multichrome shimmer that shifts from burgundy to slightly purple and then gold. 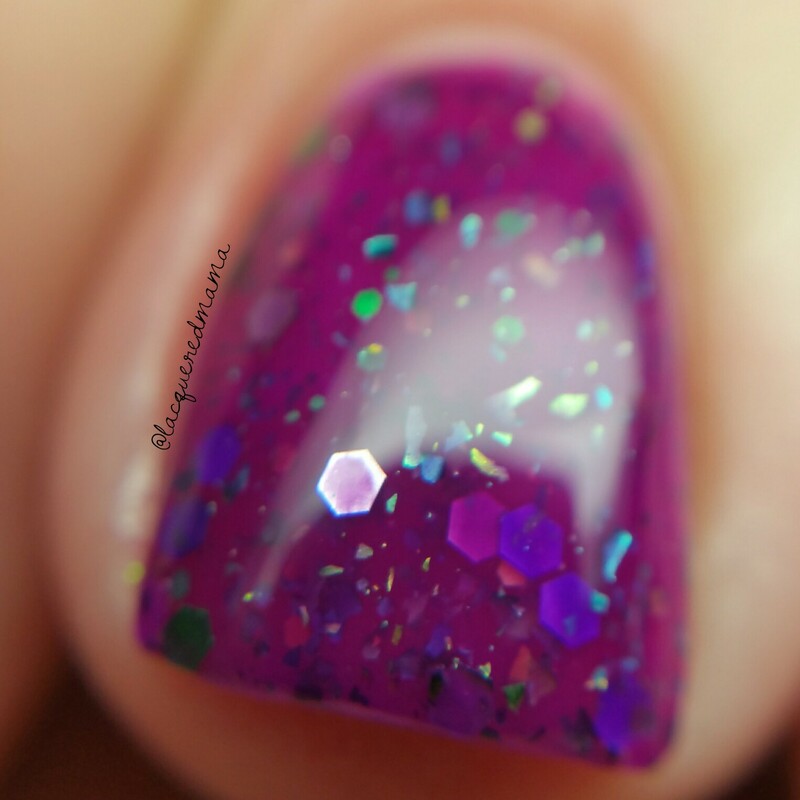 Another wonderful formula opaque in two coats. Beautiful collection! Some really unique colors and fantastic formulas! 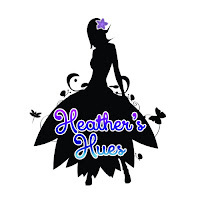 The Haunted Collection will be available in Heather's shop on September 21st! Halloween Magic is to die for!! Oh my gosh, these colors are so unique! I love all the variation in the shades, so pretty!